The Tupolev Tu-144 is a retired jet liner that was actually the first commercial transport to exceed Mach 2, but after a tragic crash at the 1973 Paris Air Show, its development came to an end. 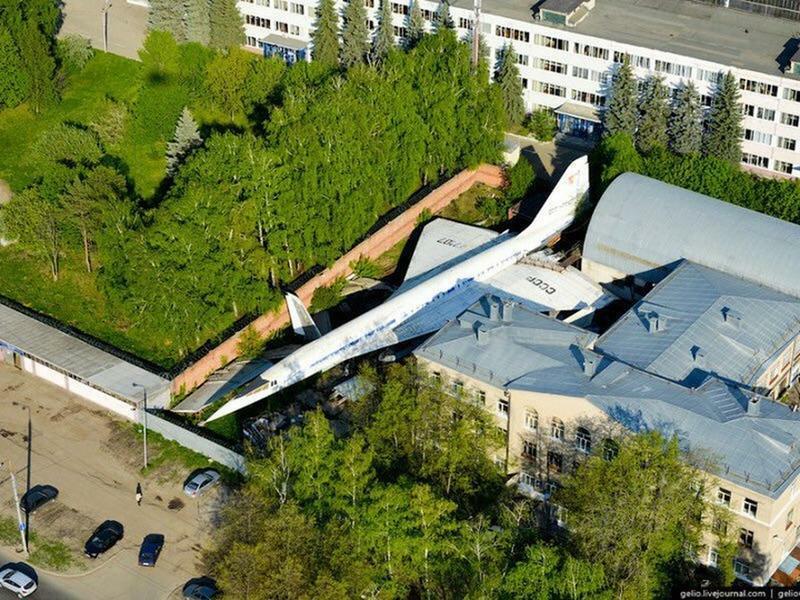 One of the remaining Tu-144s somehow ended up in this backyard in Kazan, which is the capital and largest city of the Republic of Tatarstan, Russia. It's attracted a lot of attention, with people from all over going to find the abandoned aircraft and take pictures. The plane has been caught by drones and even appears in satellite images of the area. The Cancún Underwater Museum is a non-profit organization devoted to the art of conservation. Believe it or not, there are 500 sculptures, mostly made by sculptor Jason deCaires Taylor. The museum's three different galleries can be found three to six meters deep in the Cancún National Marine Park. The idea came about when the park's director wanted to find a way to save the nearby coral reefs from divers. 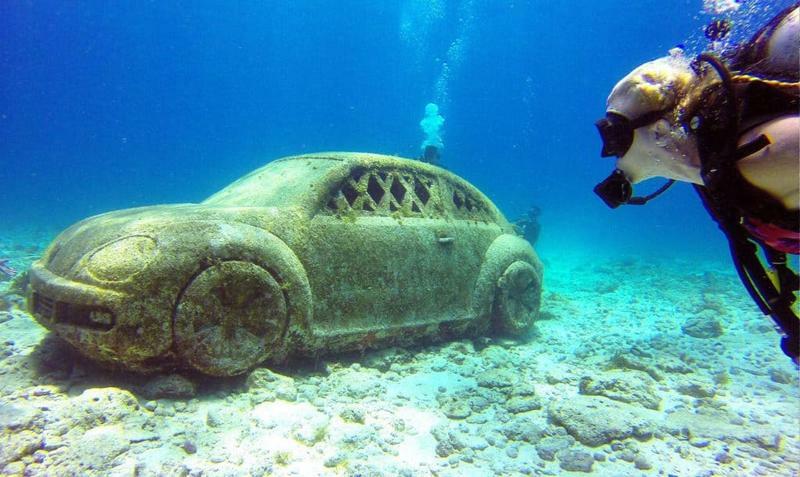 The museum works to attract them away from the reefs, and has been successful in not only that, but also housing marine life, especially in this life-sized VW Bug replica. 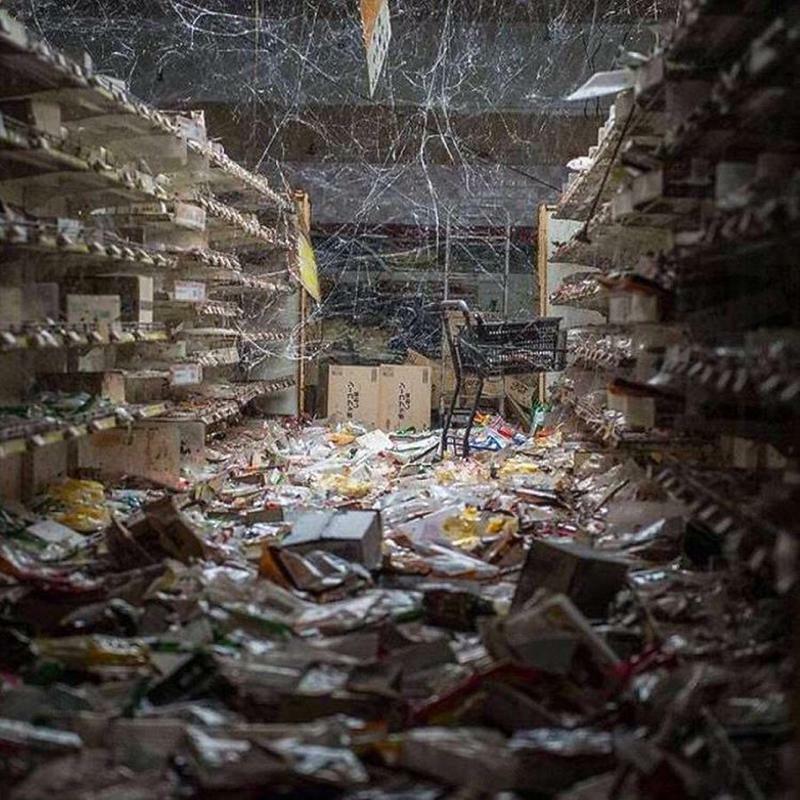 Supermarkets, schools, casinos, businesses, homes and restaurants remain abandoned all across Fukushima in the wake of one of the biggest nuclear disasters in human history. On March 11, 2011, following a tsunami and subsequent major earthquake, the Fukushima Daiichi Nuclear Power Plant suffered three nuclear meltdowns that resulted in a massive radiation leak. The government of Japan declared a nuclear emergency and over a hundred thousand people were evacuated, leaving behind a ghost town. It has since been revealed that this could've been prevented had it not been for declining safety standards and a lack of oversight.